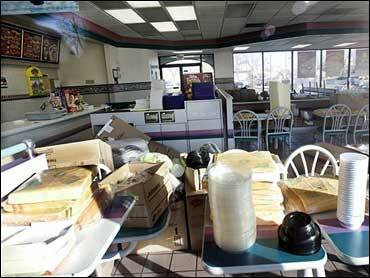 A city resident fell ill after eating at Taco Bell and health officials have confirmed that E. coli was the culprit. The victim, identified only as a Staten Island resident, has since made a full recovery. The person fell ill and was admitted to the hospital on Nov. 24 after eating at a Taco Bell in the borough. The victim was only tested for the E. coli infection after news emerged of the outbreak, city Health Department spokesman Jeff Cowley said Sunday. While the Centers for Disease Control and Prevention has confirmed 61 cases in five states, most in New Jersey, New York, Pennsylvania and Delaware, this was the first time that it was found in the city. Officials did not reveal the exact location where the person ate the meal, but they said it has been sanitized and all produce removed from the site. Taco Bell officials on Saturday said it had determined that scallions were the likely source of the E. coli outbreak. The company said it has switched produce suppliers. The Staten Island resident was infected by the same strain of E. coli found in the other confirmed cases, Cowley said. Symptoms of E. coli infection include bloody diarrhea, abdominal cramps or vomiting, but usually not fever. Meanwhile, nearly three dozen people fell ill, including 14 who were hospitalized, with symptoms consistent with infection by the E. coli bacteria after eating at a Taco John's restaurant, a local health department said. Test results were expected Monday. The Taco John's restaurant has removed any suspected ingredients from its menu and sanitized the facility, said Tom O'Rourke, the Black Hawk County Health Department director. Brian Dixon, vice president of marketing for Taco John's, said the company had sent a representative to review cooking and food storage procedures, and to examine cleaning reports and employee health records. Taco John's is based in Cheyenne, Wyo. It has no connection to Taco Bell. E. coli, short for Escherichia coli, is a common and ordinarily harmless intestinal bacteria. According to the CDC, the strain of E. coli that caused the infections is often found in the intestines of healthy goats, sheep and cattle. It can be spread if people don't take steps such as thoroughly washing their hands.